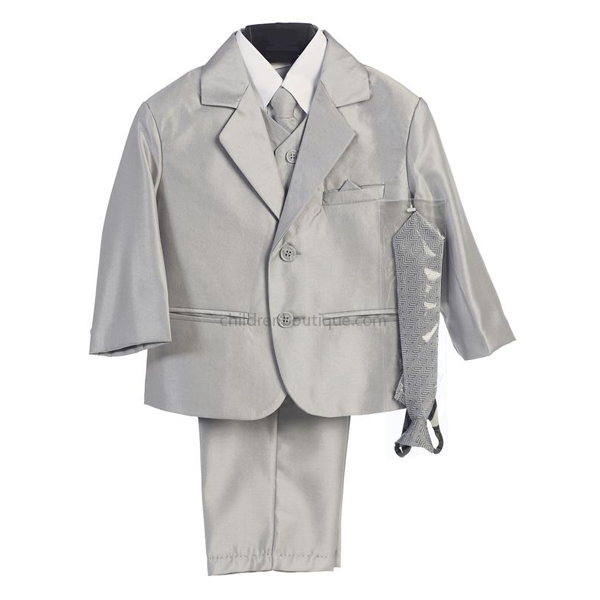 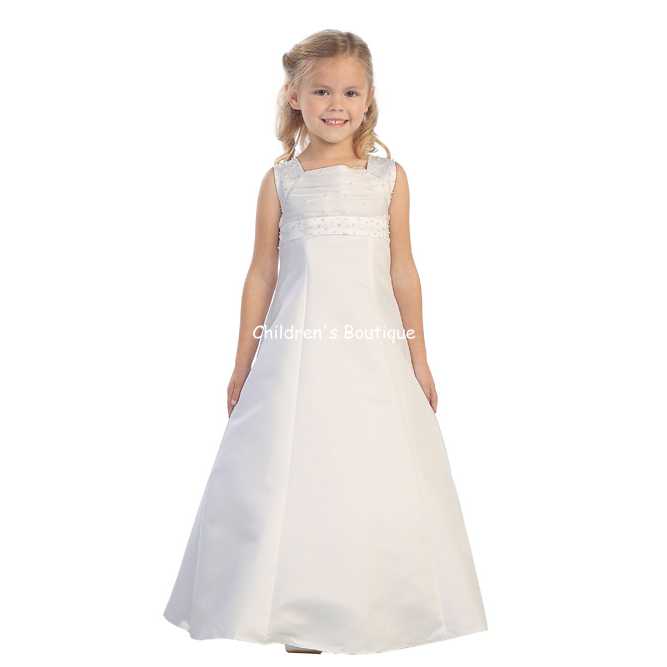 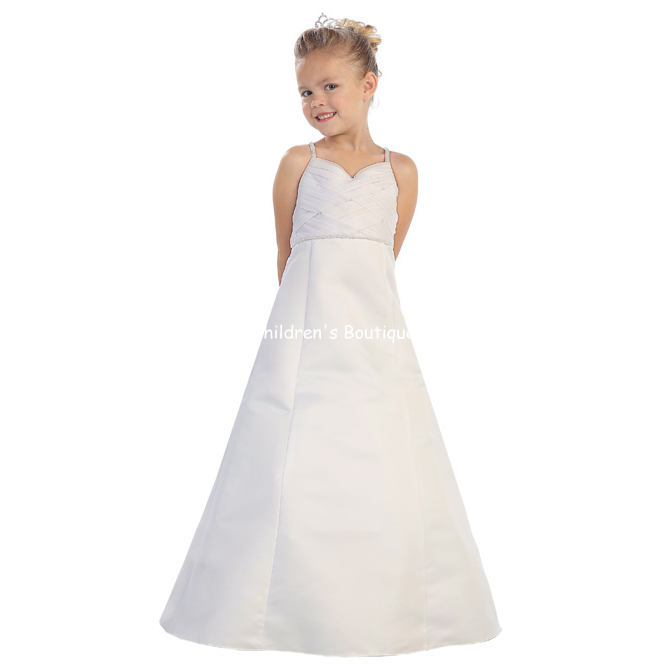 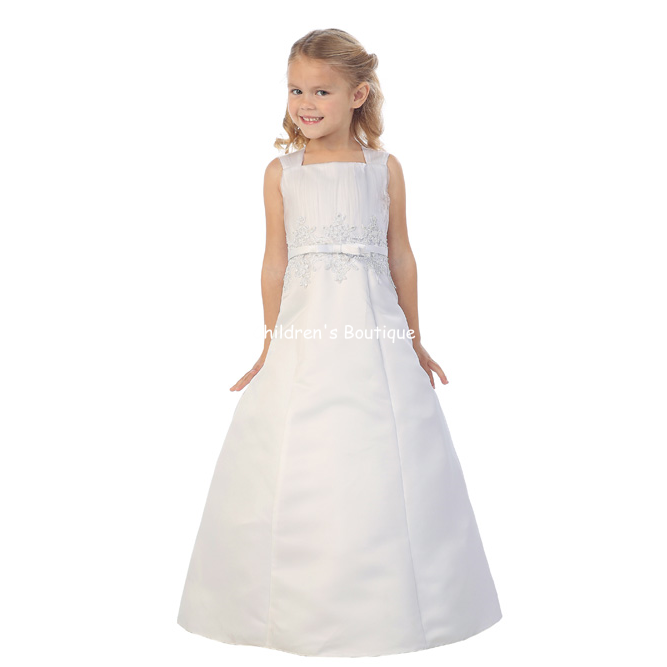 This is truly a special boys suit for any special occassion. 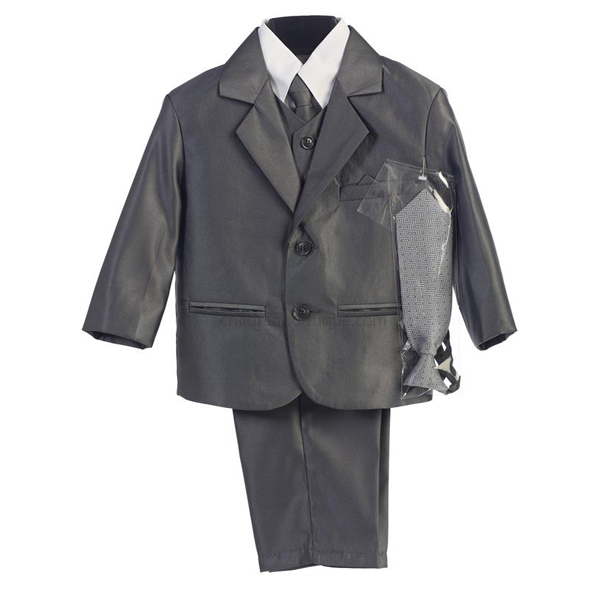 Metallic suit has two-buttons and includes tie, pocket triangle, shirt and even an extra tie for those emergencies. 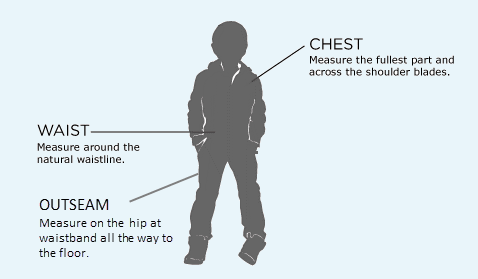 Jacket is lined with contrasting bias and vest has an adjustable back strap.